Eager audiences need wait no longer for the much anticipated sequel to Richard Doster’s well-received Safe at Home. 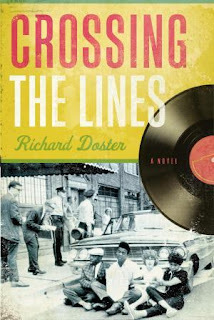 In Doster’s new historical fiction, Crossing the Lines (David C Cook, June 2009), giants of the dawning American Civil Rights Movement come alive as an idealistic white news reporter in the racially charged South of the late 1950s dedicates himself to the renewal of the region he loves. Not knowing a lot of Civil Rights Movement, this sounds like a book I need to read. Please enter me. And followed you through the follow button too! I'm currently building my blogroll too. Care for a link exchange?